Wallner notes that senators seemed to want political wins with little-to-no effort. Combine that with a light schedule that has them working little more than three days at a time in Washington, and you get a complacent, lifeless chamber that shows little respect for actual discourse and legislation. So it will require shaking the place up even more, he speculates, along the lines of that seen in the late 1950s and 1960s to arrive at a place where the Senate might reclaim the moniker of World’s Greatest Deliberative Body. No, that screaming you heard Thursday wasn’t coming from a marathon Rules Committee meeting. 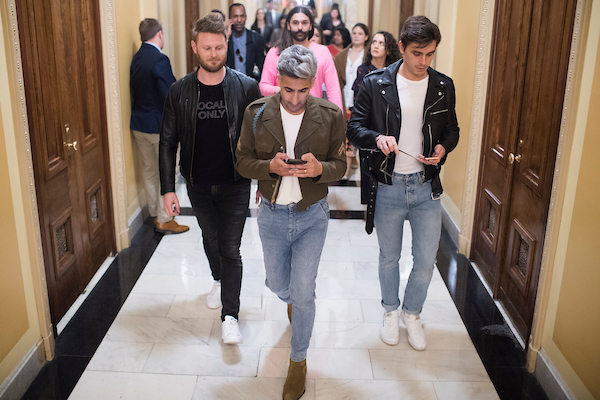 It was likely the parade seeking out the “Queer Eye” guys: Bobby Berk, Tan France, Jonathan Van Ness and Antoni Porowski, who star in the hit Netflix makeover show and met with House Democratic leaders to weigh in for passage of the Equality Act, an update to the 1964 Civil Rights Act that would add protections for sexual orientation and gender identity. The fifth member of the cast, Kamaro Brown, wasn&apos;t around. 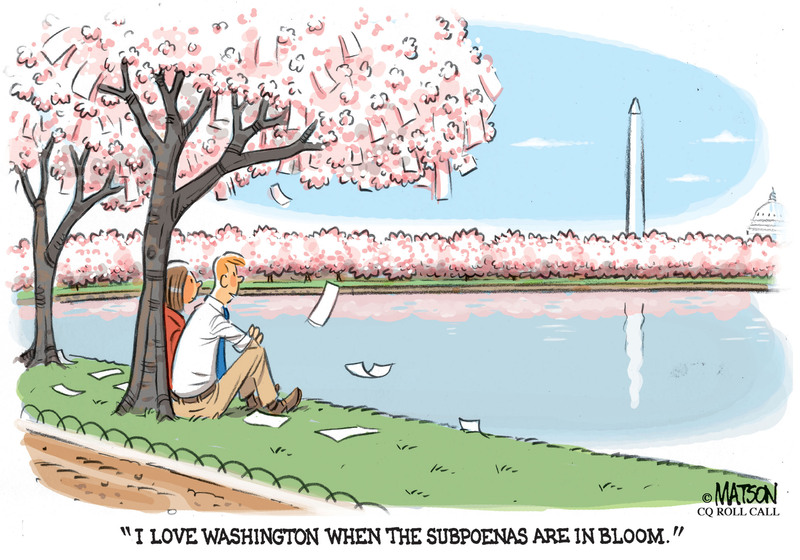 He might still be recovering from his visit with President Donald Trump last year. 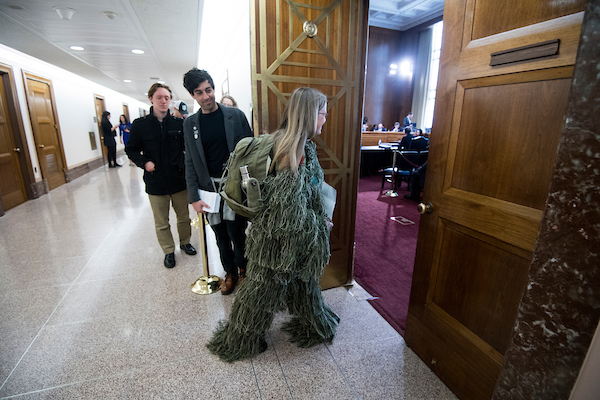 Just curious what the “Queer Eye” guys would think of the “Swamp Creature” outfit making the rounds of several Hill hearings this week. We may never know what they would have made of how to decorate the office of New York Rep. Alexandria Ocasio-Cortez, who seemed to yearn for some QE advice for her Cannon Building digs. House ethics guidelines. They can put a crimp on accepting free stuff. It wasn’t a Samuel Beckett play, but it was close. 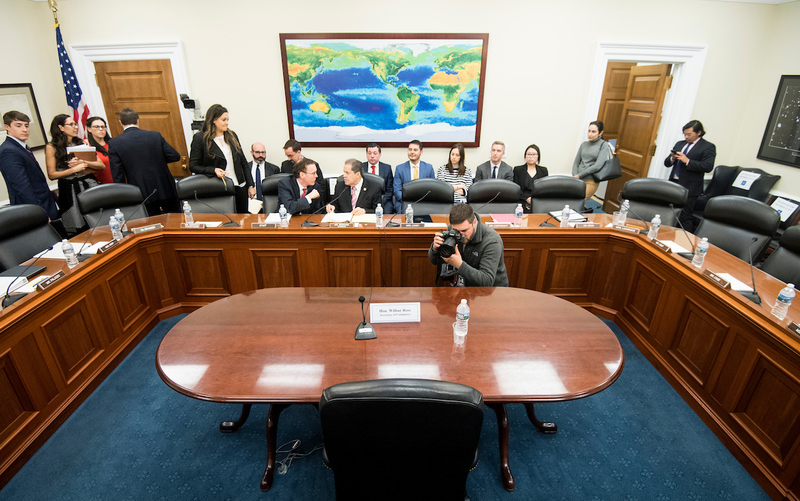 After Commerce Secretary Wilbur Ross refused to show up for a House Appropriations subcommittee hearing Wednesday, the panel just set up an empty chair. After addressing the void standing in for the charismatic Cabinet member, panel members let the furniture walk.